- Skin enhancements works with any pitchmod/patch. it works with any mods you have. tend to throw color and sharpness all over the screen (or no sharpness at all causing blur) to the point it hurts. I have spent time balancing the sharpness & bloom features of sweetFX to get (in my opinion) a version that "clears up" the overall image. The skin/teeth/hair mod compliments this (but can be used without it of course) to further push a photo look which works well if your also using other pitchmods and patches. Hopefully the screenshots show this in action (check the "screenshots" folder included with download). 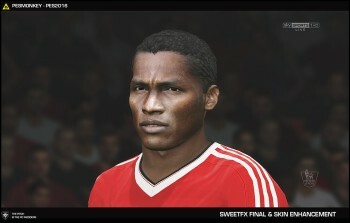 ** NOTE: the skin mod is based from the original work of K0H skin mod from pes2015 ** - I have then further enhanced the work. 1. Copy "pm_skintextures.cpk" to your install - "Pro Evolution Soccer 2016/download" folder. 3. 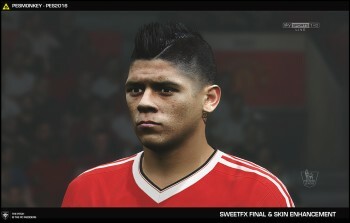 Copy the files from the "SweetFX FINAL" folder and paste them to you install "Pro Evolution Soccer 2016" root folder. 4. Run the game ... obviously. 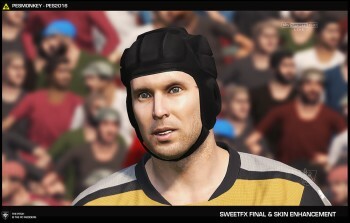 Download Pesmonkey - SweetFX Final & Skin Enhancement Mod. 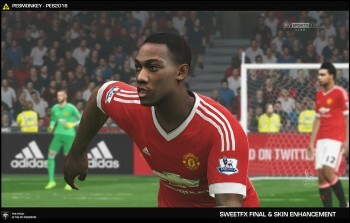 This is a mod for Pro Evolution Soccer 2016 video game.